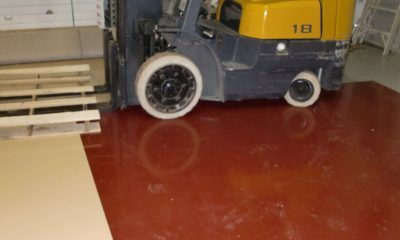 Epoxy flooring is constantly growing in popularity due to huge benefits it provides. 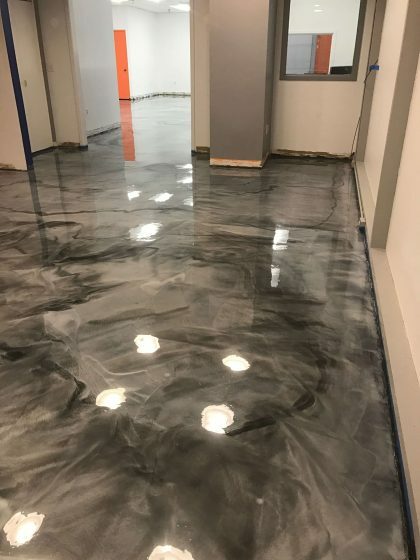 Epoxy is applied to already existing concrete as a liquid, and once it bonds with floor, it creates hard plastic surface with great durability, strength and beauty. Our flooring solutions won’t just give your floor stunning looks, they also give you huge benefits. 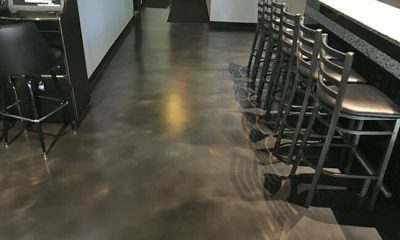 Your floor will resist damage from chemicals, oil and gas spills, abrasions, foot and vehicle traffic, water, and much more. It is rare to find a great company that offers terrific service at a great value. I contacted Noballoy to refinish & repair my garage floors that had cracks and some eroded areas. Mansoor promptly showed up to provide an estimate and walk us through the process of what he would be doing. Over the course of 4 days, he ground and sanded the trouble areas, filled the cracks and smoothed the surface of the garage. He applied 4 coats of epoxy finish and sealant (one being the textured broadcast which contains the colored "flakes"). Mansoor provided prompt communication and his attention to detail was impeccable. I will certainly use their service again and have recommended them to my closest friends. 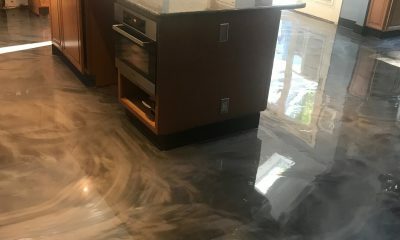 I cannot give a high enough recommendation to Noballoy for your garage floor service and epoxy needs! The garage floor looks great! It's a 2-car garage, 21'D x 19'W, and took 3 days to complete, and another 2 days to completely dry. I hired Monsoor in December, and I expected the work to be done shortly afterward. After e-mailing back and forth for a couple of months, it wasn't until April that I was informed that there was a risk of the epoxy not curing correctly if the substrate was too cold. Once I knew this, I was fine delaying until the weather warmed up. Monsoor is very pleasant to deal with, and very professional is all his work. It's hard to find a company that offers great pricing without compromising quality. I have had 2 projects done with Noballoy and they are not only professional, detail oriented, and affordable, the quality they offer is phenomenal. Mr. Mansour was a pleasure to work with. I highly recommend Noballoy! Feel free to send us any questions through the contact from, or use contact information below.